AV Stumpfl is an award-winning Austrian company that designs, manufactures and markets a range of high-performance mobile and installation projection screens and multi-display and show control systems for professional and business applications. AV Stumpfl needed a versatile and compact LED projector to demonstrate the blending and mapping possibilities of its media servers on a compact live 3D model. The company had previously used the portable Optoma W304M, but wanted to upgrade to a more compact and versatile solution with an LED light source and short throw lens. 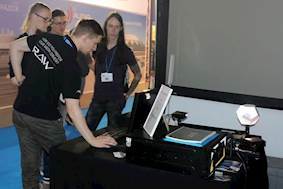 AV Stumpfl’s roadshow demonstrations promote the possibilities and opportunities its products can offer. 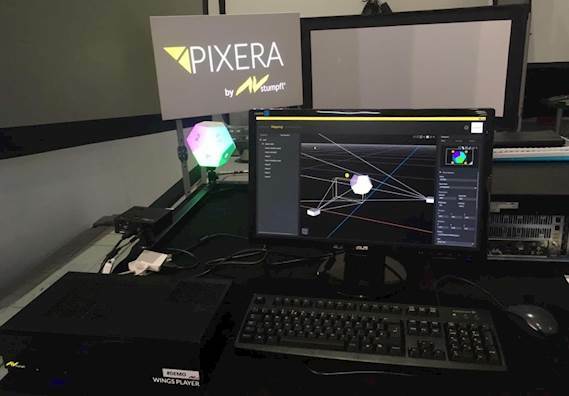 It has several products which it sets up on location, and uses projectors to blend and map projected content in real time. This allows it to comprehensively demonstrate the products and train customers from either the remote venue or its Moscow-based office. 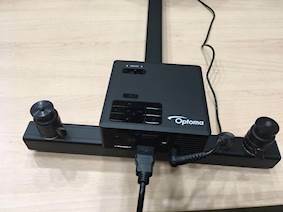 The Optoma ML750ST projectors were chosen for their compact and lightweight form factor, allowing AV Stumpfl to easily transport several projectors to any location, without being constrained by weight and size limitations of venues or airline regulations. Weighing just 420g, these tiny projectors have a short throw lens that can project a large image from a short distance away. With instant power on/off LED technology, the ML750ST is primed for instant plug-and-play viewing. And the extraordinary life of LEDs (20,000 hours) will ensure it stays clear and bright for years to come. Simulation and digital signage applications are ideal for the ML750ST as the projector can be mounted in virtually any orientation and connects instantly as soon as the projector is switched on. The ML750ST allows AV Stumpfl to demonstrate its platforms in a compact yet effective package. The short-throw lens, along with the miniature size and easy mounting, is proving highly useful for a quick and easy setup, while keeping a high level of brightness and picture quality.